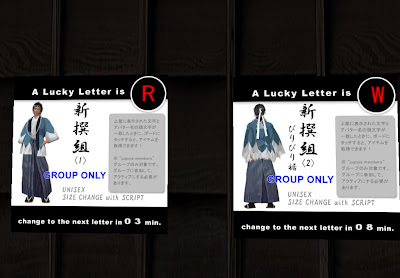 Thankies to Vere for the reminder about these nice group lucky boards at Jugoya, perfect for guys who want to wear a traditional japanese type garb. Group inviter is nearby and they change every 10 mins with no wildcards. Goodluck.